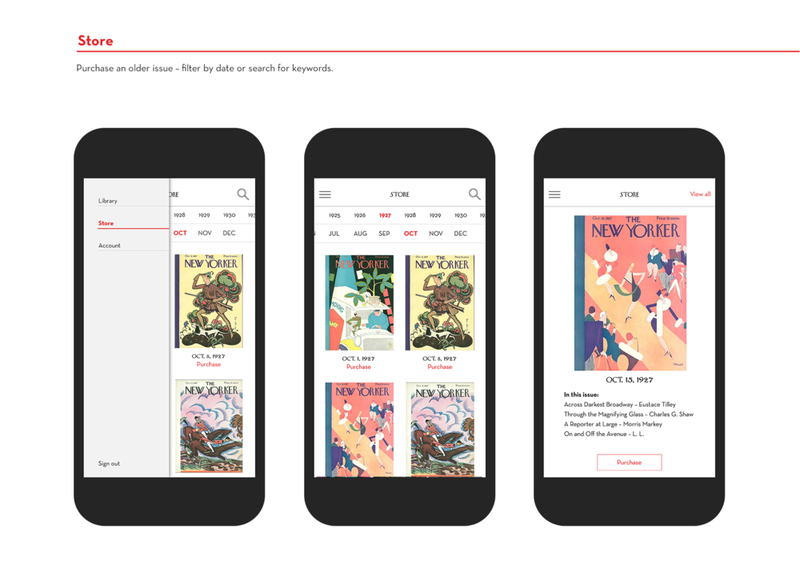 Redesigning The New Yorker magazine app. The New Yorker magazine app has complex navigation and is visually inconsistent with their brand aesthetics. Create a new structure for simple user flows with an interface aligning more closely with their magazine and website design.